How new is the new openness? It seems that openness is in the air. Open access and open data have been the hot topics of the last few years in conversations in academia and are increasingly the subjects of broader societal debate, and open government and open policy have recently moved swiftly up the political agenda in the UK. From October 31st to November 1st the British Government hosted the annual summit of the Open Government Partnership, an international platform supporting reformers aiming to make governments more open and accountable to their citizens. The London summit was significant in that it demonstrated commitment to the principles of openness from some parts of the higher echelons of the Government, and some international actors such as the chief innovation officer for the World Bank. Most notably, Cabinet Office minister Frances Maude has been at particular pains to emphasise the ambition and sincerity of his message of transparency and openness (for example see this video). There is also a distinctly geographical aspect to this new openness as Sarah Elwood and Agnieszka Leszczynski have argued in a recent paper in the Transactions of the Institute of British Geographers. Elwood and Leszczynski highlight the diversity of new spatial media available – from Google Earth, to twitter’s GeoAPI and location based social network apps like Foursquare. These media combine open and crowd sourced data with geographic information techniques and technologies, with the potential to enhance the abilities of activities, civic, grassroots, indigenous and other marginalised groups to challenge government actors and hold them to account. Far from being add-ons to a plethora of existing techniques available to activists and others, the authors argue that spatial media have the potential to advance alternative strategies for establishing the authority of knowledge claims, through for example, structuring visual experience, providing immediate and experiential cartographic representations, and through asserting credibility through mutual witnessing between peers and transparency of methods. But an earlier paper from the same journal exploring a different kind of democratic innovation counsels us to be more cautious in our heralding of the success and potential of the ‘new openness’. In 1999 Rob Imrie and Mike Raco examined the promise of and assumptions around what was then being called the new local government in the UK. The conventional wisdom around these developments at the time, with powers being increasingly being moved from local government to the central government, was that the older form of governance with a stronger local government had been more open and democratically accountable, whilst increasingly geographically centralised governance sought to close off debate. Through an exploration of how these governance changes were playing out in two UK cities, Imrie and Raco actually found a diversity of democratic practices at play, many of which showed strong continuities with what was characterised as the old governance. Their point, something which I think is more broadly applicable to other changes in democratic practice, was not to take announcements of change and newness at face value; not to be swept away by the hype and discursive contestation around a new policy initiative without first taking a closer look at the tapestry of democratic and policy practices being enacted around it. 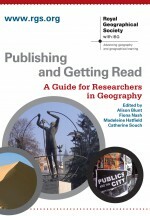 With respect to the ‘new openness’ of open government, open policy and the rest, this suggests that geographers need not only to be aware of opportunities to support such initiatives by contributing to debates and refining practices, as Elwood and Leszczynski argue, but also to empirically investigate these claims to newness. Which previous democratic practices do these approaches to open government transform or uphold? Alongside high profile demonstrations of openness in government, can we also find examples where opportunities for openness are ignored, or even actively obscured? Does a focus purely on openness risk eclipsing existing practices which are being exploited by civil society actors and others for democratic ends? Through this we can create a richer picture of democratic change and continuity in the UK, and also help to hold government actors to account. This entry was posted in Transactions of the Institute of British Geographers and tagged democracy, governance, open data, open government, openness, Political Geography, Social Geography on November 15, 2013 by helenpallett.